How is everyone doing this week? Are your kids back to school yet? I live in GA and mine is already back. Seems too early though! Now, that the summer break is over, I can start looking forward to Fall though. 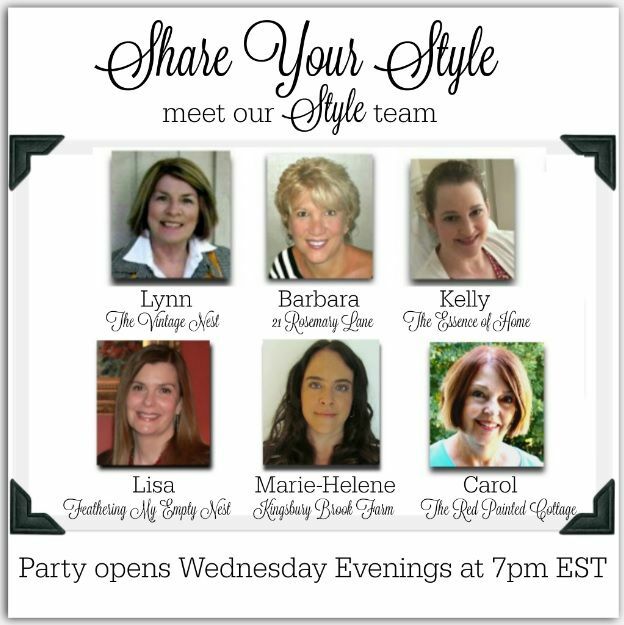 I want to welcome you back to another fun week of Share Your Style. I'm Kelly from The Essence of Home and will be your host this week. 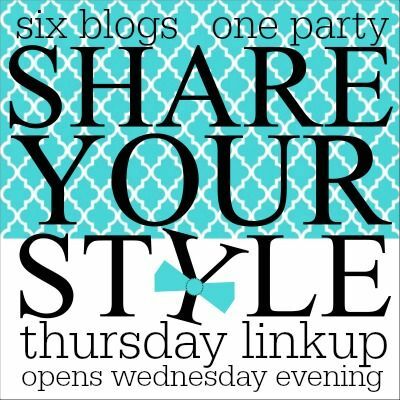 When you link up to this party, your post will be shared on all six blogs at once! We would love it if you would follow each of us as well. Our accounts are listed below. Here are some features from last week's party. 1915 House shared a favorite dry rub recipe for grilling. 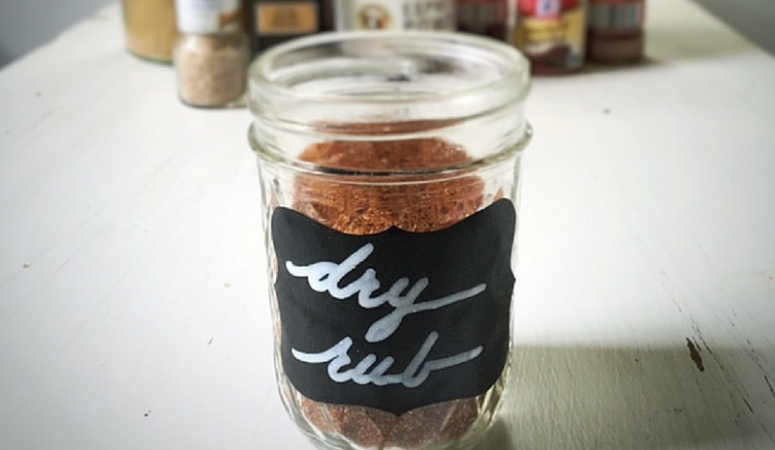 My husband loves to grill out and use unique seasonings and marinades so this one looked very appealing! Twelve on Main shared her ideas for creating eclectic farmhouse office decor in a small space. I love farmhouse decor and thought she picked out some beautiful pieces! They are all from World Market and she provides the info for you. Repurpose and Upcycle shared a DIY project on how to install board and batten. 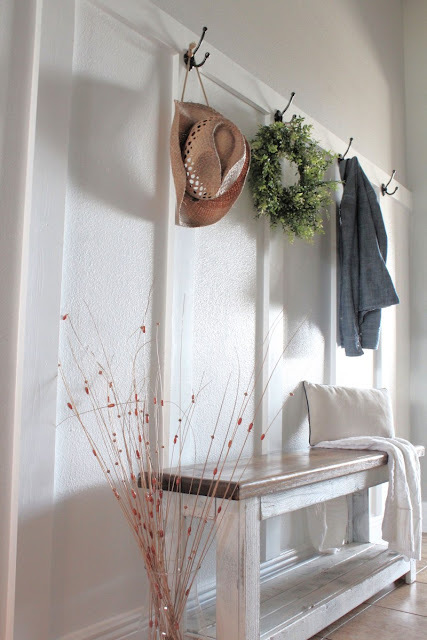 She put some up in her hallway to create a modern farmhouse mudroom. She gives a tutorial so you can learn how to do it too! 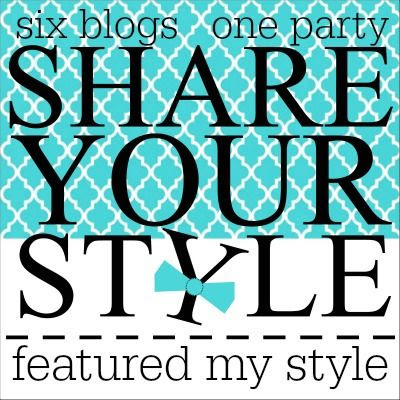 If you were featured, please feel free to display this button on your blog! Now, let's see what you've got for us this week. Please add a link back to your post for this party. Thanks for the party, Barbara and have a lovely Thursday! A big NO to back to school! Summer flies too quickly. Happy Wednesday! Thank you for all the work you do with putting the parties together every week.